Saturday, I posted some links to sites on note-taking skills. 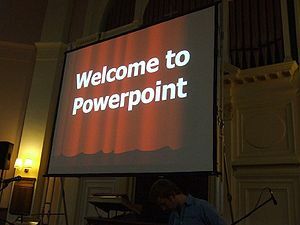 Today, I’d like to comment on note-taking in juxtaposition to that “learning object” so omnipresent in schools and businesses alike: PowerPoint slideshows. That article was published in 2003. 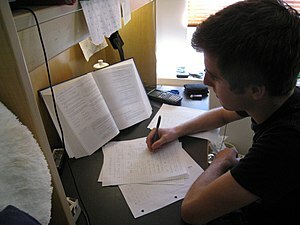 Flash forward eight years to an article published just days ago in the Japan Times Online, “Advantage of taking notes.” The writer is Takamitsu Sawa, President of Shiga University in Japan, and he claims that note-taking is an indispensable professional skill that college students must learn. I’m not claiming here that PowerPoint = categorically evil and your own notes = universally virtuous; but I am claiming that students need to become actively engaged with their learning material in order to study effectively. It is true that taking notes is active, while it’s easy to sit back and drift off mentally in the presence of PowerPoint.
. . . which brings me back, once again, to the importance of being trained to take good notes. As a student, I remember hearing th e advice “When the professor is talking, you should be writing.” Yet in my community college teaching experience, I’ve looked out on many a classroom to see students seemingly unaware that they ought to be taking notes at all. I’ve also realized that those who were trained to take notes fared far better in college. “Classes: Notetaking, Listening, Participation”: handouts, links, and videos from Dartmouth College. “Listening and Note-taking Web Sites” from the Academic Success Center at Southwestern College in Chula Vista, CA. “Note taking and in-class skills”: a page of tips from Virginia Tech’s Cook Counseling Center. “Note-Taking Skills” from the Academic Resource Center at Sweet Briar College. “Note-Taking Strategies: How to Get Your Class Notes into Shape” from College Board.